FERTILIZER ORCHIDS There are 7 products. Check out the best fertilizer orchids for flowers to be in good health throughout the year. 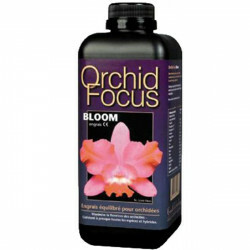 Outdoors or for your crops interior, made to bloom your orchids 3 to 10 times per year and multiply buds. 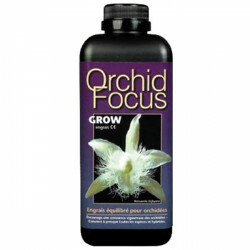 We recommend that you use these fertilizers at the time of giving water to your plants for a bloom effect and rapid flowering time for optimal thanks to the nutritious substances of very high-quality, studied for the growth of orchids. In formats that various liquid (30 mL to 1L) these fertilisers organic are suited to pot culture, chamber of culture, outdoors and more generally to any type of culture horticole. In short, you will find in this range of fertilizers for growth designed with the greatest care, fertilizer at the highest level of maintenance products for your plants, for the roots on a consolidated basis. 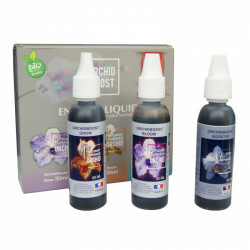 Our fertilizers for orchids nutritious have a precise dosage, that is why we are available for advice or information that you would miss for orchids organic in perfect health, whether it is the phalaenopsis orchid or the other.